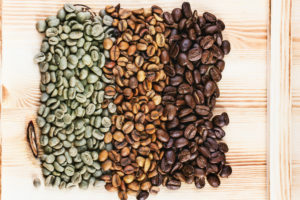 What Are the Most Prominent Trends in the Coffee Industry? Nothing seems to deter dedicated coffee drinkers from enjoying their favorite morning habit. Not higher prices, not long lines, not anything. Therefore, it’s always interesting to keep an eye on what’s happening in our industry as a means of forecasting what might be in the future. For 2015, we are paying close attention to a few significant trends. Keep in mind that the office coffee environment is but one small portion of the overall picture. The trends we are seeing also apply to independent coffee shops, large commercial chains, and even home brewing. Single cup brewer systems have been experiencing an explosive growth rate for the past 10+ years. This has occurred despite the fact that people are aware of the significant price differential when compared with using an automatic drip machine or a bean-to-cup brewer. One particular coffee system has dominated the office and home single cup market with their wide choice of beverages and brewing equipment. In the office, there are now some excellent single cup options that offer a more eco-friendly approach. We are beginning to see these options gain momentum, even though there are fewer choices. Office managers aren’t running coffee shops and they know it. They can now offer a great cup of coffee at a more reasonable price, and still no clean up. Most importantly, they feel better about the environment and their employees are demanding more eco-friendly alternatives. Furthermore, we are seeing a comeback in traditional coffee brewing methods using the “old school” three burner or a more updated version with a thermal carafe brewer. While there is some waste and coffee spilled out, the overall cost per cup is lower and the coffee options are totally up to the user. We are working with a small batch roaster in Brooklyn who uses Brazilian beans in a medium roast and the coffee is excellent. The coffee is sold in 5 lb. craft bags – you can’t get more eco-friendly than that!! A fascinating survey conducted by PLOS ONE in 2014 clearly demonstrates a preference for fair trade products among individual consumers. 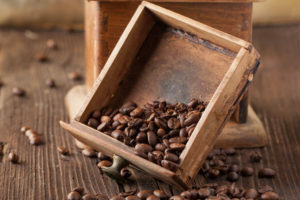 The survey enlisted dozens of coffee drinkers in a blind taste test in which participants were told one brand was fair trade and the other was not. Despite both coffees being identical, 61% chose the brand they thought was fair trade as tasting better. The research also concluded that consumers are willing to pay extra to purchase fair trade products. We expect the results of that survey to play out in sales numbers over the next few years. A rising political consciousness among young people is making free trade coffee more popular with this demographic; their numbers will only continue to grow as the numbers of older coffee drinkers gradually declines. While workers generally prefer single cup coffee service, there are now lots of good options to consider. It is now possible to reduce your break room expenses and increase employee satisfaction. The key is to listen to your employees. It will be interesting to see where the industry goes over the next 12 to 18 months. At Galaxie Coffee, we are ready for anything. What Is the Most Eco-Friendly Option for Office Coffee? It is clear that the modern coffee drinker is concerned about using eco-friendly products that promote sustainability and fair pricing. The question for office managers is what constitutes the most eco-friendly option for office coffee consumption? The answer comes down to how one prefers coffee to be brewed. When you compare energy use between automatic drip and single cup machines, it is pretty much a wash on a cost-per-cup basis. In some cases, newer single serve machines may even be slightly more energy-efficient. However, in the grand scheme of things, the amount of packaging required for single cup versus drip machines gives the clear advantage to the automatic drip model. In terms of environmental impact related to waste, the drip coffee machine is more eco-friendly. With that said, it is evidence that more Americans prefer the single-cup method of brewing. So do their office managers. So in the single-cup arena, let us discuss the most eco-friendly options. There is no argument that k-cups produce a tremendous amount of waste that goes into landfills. Furthermore, all of this packaging needs to be manufactured prior to coffee processing and packing. That means energy resources are being consumed as well. Currently, single cup brewers are the least environmentally friendly way to produce a single cup of coffee. There are other single cup solutions that have coffee capsules that are 100% fully recyclable. The most eco-friendly option is the bean-to-cup brewer. Many of these brewers offer a high quality cup of coffee and several types of coffee drinks including lattes, cappuccinos, espresso-style coffee, mochaccino, hot chocolate and more. The beans and powder are packaged in bulk which reduces the packaging and the price. There is no waste generated for an individual cup. A number of companies have decided to compete directly with single cup manufacturers by producing biodegradable pods. They provide the same convenience as the single cup but in a package that can be discarded without a significant environmental impact. The pods are generally priced lower than the more popular single serve options and produce a quality cup of coffee. The downside is there are fewer choices in pods. However, for most office managers – the choices will be sufficient. The equipment has also been recently improved. Galaxie Coffee understands that having eco-friendly office coffee options is important to many of our customers. To that end, we strive to provide a full line of single cup and single pot options for the broadest appeal possible. We invite you to check out our full selection of single serve coffee products on our website. Do not forget that we also offer traditional coffee products, bottled water, tea, and a whole lot more. We are proud to serve the New York area with complete beverage and break room service.